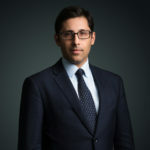 We are delighted to announce the arrival of Alexander dos Santos at Serjeants’​ Inn Chambers. Boosting our Business and Specialist Crime Team in particular, Alexander practises in regulatory and financial matters, both criminal and civil, professional discipline, extradition, inquests and public and commercial law. Alexander is a Specialist Regulatory Advocate and a CPS Specialist Prosecutor. He is also a legal adviser to AFC Wimbledon football club and is appointed to the League Managers Association Legal Panel. Click here to see further details of Alex’s practice.